One word summarises the Mustiguillo message and that is Bobal, one of the greatest and most under-rated Spanish grape varieties, now on the cusp of a renaissance. Mustiguillo is a family project, dedicated to organic viticulture and the pursuit of elegance and finesse rather than excess oak and the like. A well-rehearsed mantra maybe, but one that does not have many adherents of such pedigree. Located on terraced escarpments of ancient Dolomite limestone, the vineyards of Quincha Corral are seen by many as the definitive statement of the Bobal varietal. The bonus of the superlative 2012 vintage underlines this statement with a deeply coloured wine, its rich, smoky, floral aromas and luxuriant, grippy mouth-feel harnessing an ensemble that has a long and successful life to look forward to. 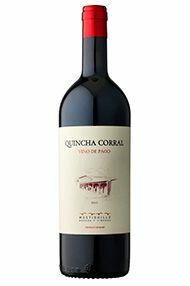 The Wine Advocate - The 2012 Quincha Corral is a serious, classic old-vine Bobal from head-pruned vineyard planted in 1945 at 800 meters on sand and chalk soils. This is one of the single vineyard appellation wines, DOP El Terrerazo that was fermented with indigenous yeasts in oak vats and matured for 19 months in French oak barrels. The nose offers notes of plums, some creaminess and some spices on top of well-integrated oak aromas. There is an acute note of licorice intermixed with fennel, aniseed, thyme and rosemary as well. The medium to full-bodied palate has fine tannins and good acidity. The harshness and rusticity of the initial vintages has disappeared and the wine feels more sleek and polished, while keeping the Mediterranean character and the typicity of the Bobal (with its inherent elegant rusticity). I tasted 2004, 2006, 2007 and 2009, and I can say that 2012 is most likely the best Quincha so far. From 2006 onward it's only Bobal (there was some 10% Bordeaux varieties in the earlier vintages) and the wines age more in a Rhne-style than in a Burgundy one. 2006 was a superb vintage in the Mediterranean arc. 5,600 bottles produced. 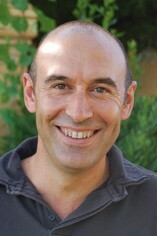 One word summarises the Mustiguillo message and that word is Bobal, one of the greatest and most under-rated of Spanish grape varieties, and now on the cusp of a renaissance in the Mediterranean vineyards to mirror that of the Mencia varietal in Bierzo and other parts of North-West Spain. Mustiguillo is a family project, dedicated to organic viticulture and the pursuit of elegance and finesse rather than excess oak and the like. A well-rehearsed mantra maybe, but one that does not have many adherents of such pedigree. East-facing eponymously, and Mediterranean of climate and culture, the appellation of Valencia produces wines from a diverse array of styles and grapes, including, for the white varieties, Merseguera, Malvasía, Pedro Ximénez, Moscatel Romano, Planta Fina, Macabeo, Chardonnay, and to a lesser extent, Sauvignon Blanc, Sémillon; and, for the red grapes, Monastrell, Garnacha Tintorera, Garnacha Tinta, Cabernet Sauvignon, Pinot Noir, Merlot, Bobal, Syrah. Wine is bred in the bone here, and at all price points. Two of the most exciting bodegas are Bodega Mustiguillo and El Angosto, which certainly deserve to be better-known.